This is a fun appetizer both kids and adults will love! This dip is super simple with only a few ingredients. It’s easy to whip together too! This would be a great appetizer to have on Thanksgiving while everyone is waiting for dinner to start. It is fun to serve in a small pumpkin. I used a pie pumpkin and it worked great. Makes clean up easy too! Love that! You can also make the dip the day before. It has to chill in the fridge anyways and then that is one less thing you need to make come Thanksgiving. If you want to serve it in a pumpkin, you can hollow out the pumpkin the day before, rinse and dry well, then wrap it in foil and keep it in the fridge. 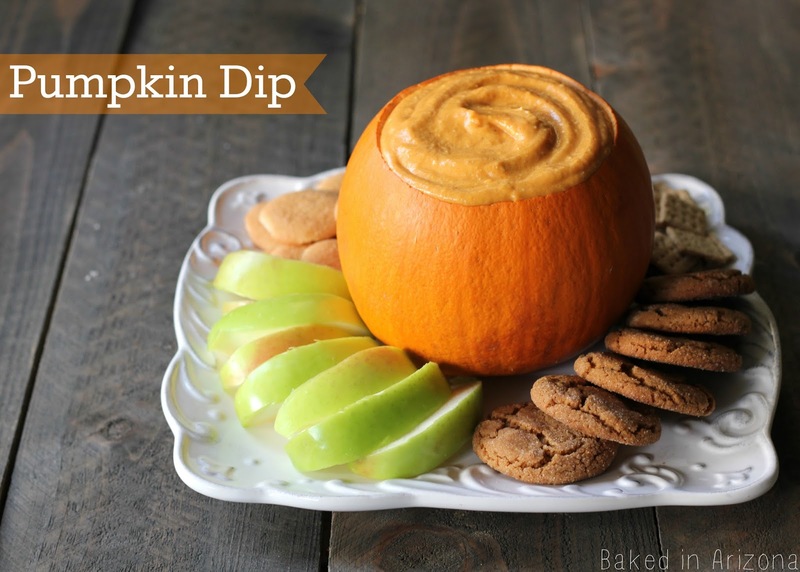 When you are ready to serve, simply spoon the dip into the pumpkin, cut up an apple and you are ready to impress. 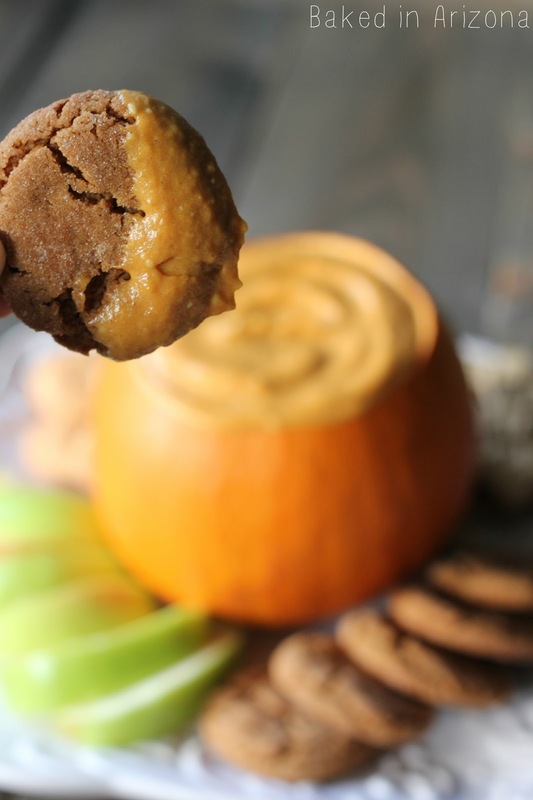 The gingersnaps are delicious with this dip. I also love the tart green apples too. And of course the kids will love vanilla wafers and graham crackers. Mix softened cream cheese for a few minutes with an electric mixer. Add powdered sugar and mix until nice and smooth. Add pumpkin and spices. Mix until it is nice and creamy. Refrigerate for 2-3 hours to set up. 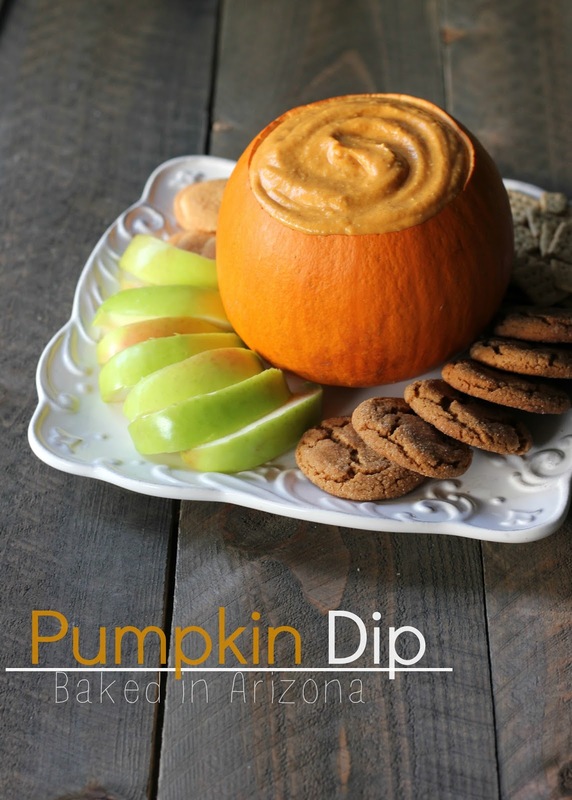 Serve in a hollowed pumpkin with apples, ginger snaps, vanilla wafers & graham crackers. This can be made a few days ahead and kept covered in the refrigerator. If you want to clean out the pumpkin beforehand, wrap with foil and store in the fridge as well.